Our products are highly trusted and ensure that sensitive data such as credit card and personal information is protected online. Becoming a Trustico® customer means you will have access to a diverse range of products and services. "Trustico®" means "The Trustico® Group". "The Trustico® Group" means Trustico® by Red 16, Inc. and its subsidiaries. "Customer" means the buyer, user, administrative contact, billing contact, technical contact or any person, company or entity associated with an order, purchase or use of a product or service available via the Trustico® website or by any other means. "Reseller" means any person, company or entity that has signed up to resell products and services via the Trustico® website or by any other means. Trustico® shall provide its products and services to the Customer under the following Terms & Conditions. The Terms & Conditions forms an agreement between Trustico® and the Customer. The Terms & Conditions is intended to protect both the integrity and liability of Trustico® and the Customer. The Terms & Conditions will be enforced by Trustico® to ensure the speed, power, performance, and reliability of Trustico® products and services and products and services resold or re-branded to the Customer by Trustico®. These Terms & Conditions may change at any time. The Customer understands and agrees that any product or service is provided on an as-is basis and that Trustico® assumes no responsibility for the timeliness, deletion, mis-delivery or failure to store any Customer communications or personalization settings. A new Customer is determined to be any buyer, user, administrative contact, billing contact, technical contact or any person, company or entity associated with an order that has never placed an order or used a service provided by Trustico®. An existing Customer is determined to be any buyer, user, administrative contact, billing contact, technical contact or any person, company or entity associated with an order that has previously placed an order or used a service provided by Trustico®. Within thirty days of order Customer may request a cancellation and full refund of a Customer qualifying SSL Certificate product for any reason. Refunds are intended for new Customer's as our refund guarantee allows the opportunity to test and install an SSL Certificate risk free. Refunds are not available for fulfilled extended validation orders; or orders that have been discounted or replaced free of charge with the same or a substituted product. Trustico® will cancel and refund a qualifying order upon request. The refund request must be made in writing by downloading and completing the refund request form (available by Clicking Here) and sent via fax or e-mail. All refund requests must be received within thirty days of order and must be easily identifiable by containing relevant order particulars, such as the order number and domain name. Refund requests that are received after thirty days of order will not be eligible for refund. As a condition of the use of any product or service, the Customer will not use any service or product for any purpose that is unlawful or prohibited by these terms, conditions, and notices. The Customer may not attempt to gain unauthorized access to any product or service, other accounts, computer systems or networks connected to product or service operated by Trustico®, through hacking, password mining or any other means. The Customer may not obtain or attempt to obtain any materials or information through any means not intentionally made available by Trustico®. Trustico® reserves the right at all times to disclose any information it deems necessary to satisfy any applicable law, regulation, legal process or governmental request, in the its sole discretion. Any dealings with third parties (including advertisers) included within the Trustico® website or participation in promotions, including the delivery of and the payment for goods and services, and any other terms, conditions, warranties or representations associated with such dealings or promotions, are solely between the Customer and the advertiser or other third party. Trustico® shall not be responsible or liable for any part of any such dealings or promotions. The Customer agrees that Trustico®, in its sole discretion, may terminate the Customer password, account (or any part thereof) or use of any product or service if the Customer violates any of these terms, or for any reason Trustico® considers is reasonable. Using any product or service in connection with pyramid schemes, chain letters, junk e-mail, spamming or any duplicative or unsolicited messages (commercial or otherwise) is prohibited. Provide true, accurate, current and complete information as prompted by any registration, application, signup form or similar. Maintain and promptly inform us to update any registration data, application data, signup form data or similar data to keep it true, accurate, current and complete. If any information that is untrue, inaccurate, not current or incomplete, or if Trustico® has reasonable grounds to suspect that such information is untrue, inaccurate, not current or incomplete, Trustico® has the right to suspend or terminate the Customer account, product or service and refuse any and all current or future use of any account, product or service (or any portion thereof). The Customer is responsible for maintaining the confidentiality of any credentials, and is fully responsible for all activities that occur using those credentials. Some products and services may allow the Customer to choose its own own credentials. Any Customer in violation of system or network security is subject to criminal and civil liability, as well as immediate account, product, service or similar termination. Examples include, but are not limited to the following : Unauthorized access, use, probe, or scan of systems security or authentication measures, data or traffic. Interference with any service, host or network including, without limitation, e-mail bombing, flooding deliberate attempts to overload a system and broadcast attacks. Forging of any TCP/IP packet header. Infringe on any third party's intellectual property or proprietary rights, or rights of publicity or privacy. Are defamatory, trade libelous, threatening, unlawfully harassing, abusive, pornographic or obscene. Contain viruses, trojan horses, worms, time bombs, cancel-bots, corrupted files, or any other similar software or programs that may damage the operation of another's computer or property of another. Contain pirated or hacking / phreaking software (warez). Any software that is copyrighted and not freely available for distribution without cost. ROMs, ROM Emulators and Mpeg Layer 3 files (MP3) all fall under this jurisdiction. Trustico® will match an advertised price of a genuine competitor, within seven days of an existing order being placed, subject to verification and / or acceptance by Trustico® that the advertised price is legitimate and excluding promotional and / or any special deal. Price matching is available to new Customer's only and may be withdrawn, rejected or canceled at the discretion of Trustico® to any existing customer at any time. Price matching is based on prices exclusive of any taxes. Applicable taxes may be added to the value of any order that is subject to price matching. The Customer agrees that certain products and services may have their own Terms & Conditions, subscriber agreements or similar and by purchasing, ordering or using the Customer agrees to those Terms & Conditions, subscriber agreements or similar. The Customer agrees to read and understand our policy on fraudulent orders and payment chargebacks. Click Here to view the Fraudulent Orders & Payment ChargeBack policy. When paying with a debit or credit card it is important to note that some financial institutions may charge a fee when transacting in a foreign currency. Some financial institutions have been known to charge other types of fees when transacting with an internationally designated merchant. Please check with your financial institution for more information. Trustico® never charges transaction fees and ensures that the exact amount of a Customer's invoice is charged. Trustico® utilizes merchant accounts within various countries and offers the flexibility of transacting in various local currencies, though does not guarantee that finanical institutions will or will not charge transation fees for this convenience. Any applicable transaction fees are determined by the Customer’s bank. This means that in rare instances the amount listed on the Customer’s credit or debit card statement may be a different figure than the actual amount Trustico® has charged. Trustico® does not have any control over a Customer’s agreement with their financial institution. Reseller shall purchase products and / or services for resale to Customer and shall enter into an agreement directly with the Customer which shall bind the Customer to any applicable Terms & Conditions. The Reseller shall use commercially reasonable efforts to ensure that all Customer abide by the applicable Terms & Conditions. The Reseller shall use commercially reasonable efforts to market and promote use of the products and services and shall be responsible for being knowledgeable about the products and services, including the technical aspects and language related thereto. Reseller shall provide Customer with first-tier support including, but not limited to, resolution of pre-sales questions, setup, integration, and post-sale inquiries, basic integration support, problem screening, and basic diagnostics. Upon expiry of a product or service the Reseller shall use commercially reasonable efforts to send renewal notices to Customer at least thirty (30) days prior to expiry of any applicable product or service. If any Customer requests that a Reseller revoke its product or service, the Reseller must forward the request to Trustico® on behalf of the Customer. If any Reseller becomes aware that Customer organizational information used to authenticate and verify the Customer product or service has changed or that the Customer has materially breached its obligations under the Terms & Conditions, then you shall notify Trustico® of such change or breach, and Trustico® may revoke the product or service. Trustico® may also revoke a Customer product or service if the Reseller materially breaches any obligation under the Terms & Conditions. Trustico® may also revoke, terminate, cancel, take-over or acquire a Reseller product, service, account or similar if the Reseller materially breaches any obligation under the Terms & Conditions. Upon expiration or revocation of a product or service, the Reseller shall permanently remove the applicable product or service from the server on which it is installed and shall not use it for any purpose thereafter. Trustico® shall provide Reseller with standard phone and e-mail support during normal business hours. 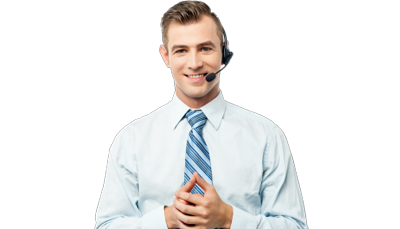 Reseller's Customer's are not permitted to directly contact Trustico® or any product or service supplier, for any reason, and must communicate directly with the Reseller, the Reseller may liaise with Trustico® if support is required. Reseller are not permitted to contact any product or service supplier directly, for any reason, and must liaise with Trustico® if support is required. Trustico® reserves the right to change the pricing structure associated with products and services at any time. Trustico® shall use commercially reasonable efforts to provide Reseller with prior notice of any change, but such changes shall not require Reseller consent. Trustico® reserves the right to offer an alternate product or service whereby a product or service becomes unavailable, or for any other reason. An alternate product or service may or may not originate from the same supplier, though shall technically contain, in the opinion of Trustico®, an equivalent set of features and level of security. Trustico® reserves the right to revoke, terminate, cancel, take-over or acquire a Reseller product, service, account or similar in the event the product, service, account or similar becomes inactive. Inactive is defined as no financial activity (meaning a deposit, credit or similar to the Reseller account) being undertaken by the Reseller for a period of 12 months or longer, at the discretion of Trustico®. Reseller accounts must be pre-paid by the means of pre-paid funds or an agreed overdraft arrangement must exist for the purpose of ordering products and services. In the event an agreed overdraft arrangement exists it is due and payable in full on the 1st of every month. Trustico® reserves the right to revoke, terminate, cancel, take-over or acquire a Reseller product, service, account or similar in the event that a Reseller account becomes overdrawn or in default. Cancellation of a non-completed order is available to Reseller at any time before issuance. Any related or held funds shall be credited back to the Reseller account balance. Funds held within a Reseller account are generally not available for refund and such a request may be rejected or canceled at the discretion of Trustico® at any time. Shall a refund be subject to consideration, Reseller agrees that Trustico® may assess and adjust prior processed orders to the standard Trustico® retail pricing structure.